Admission for Zoo Lights is separate from normal daytime admission. A daytime ticket is not valid, and members still have to pay, although they get a discount. The price is lower until December 15, and then goes up for the rest of the season. There is also a discount if you buy tickets online. Doing this also allows you to skip what can be a long line. Zoo lights starts each night at 5:30 p.m. and runs until 9 p.m. The North Pole (with Santa, a carousel and a train ride) opens the entire time. Grounds will be cleared at 5 p.m. each day. During Zoo Lights, the zoo’s food outlets, including the Samburu Grille and the Sweet Traditions Tents, will be open. The Pachyderms, Elephant House, Village Hall and Tropical Discovery will all be open until 9 p.m.
WHAT ARE THE EXTRA ATTRACTIONS? There will be animal encounters from 6 to 8 p.m. at the Sea of Lights, with an African penguin keeper at 6:30 p.m. and a polar bear talk at 7 p.m on Fridays and Saturdays. To keep with the arctic theme, ice carvers will be working on Friday, Saturday and Sunday nights from 5:30 p.m. until 8 p.m. There will be a juggling show on Fridays and Saturdays. Some nights will have live entertainment on the choir stage – check before booking to find out which and what will be going on. 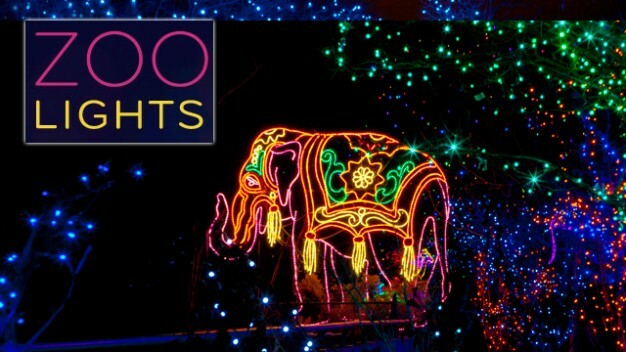 Zoo Lights is a Denver tradition, one of many which are easily accessible from our downtown Denver apartments. Contact The Apartments at Denver Place to find out about our apartments in Denver, floor plans, amenities, and local attractions.